Looking for private in-home or in-studio Music Performance lessons? Our East Providence teachers are ready to get you started. Find your teacher today! Check out some of our most popular teachers near East Providence, RI including Warwick, Providence, Barrington, Westborough and Shrewsbury. Students who are trying out and auditioning will get feedback and technique advise for there specific audition. Aimee is a Music Educator with a Masters of Music from Boston University. She has been writing music, singing, and playing piano for 20+ years. She has the ability to be flexible and differentiate for each student to fit their individual needs and interests. Aimee expects her students to practice and be prepared for each lesson. 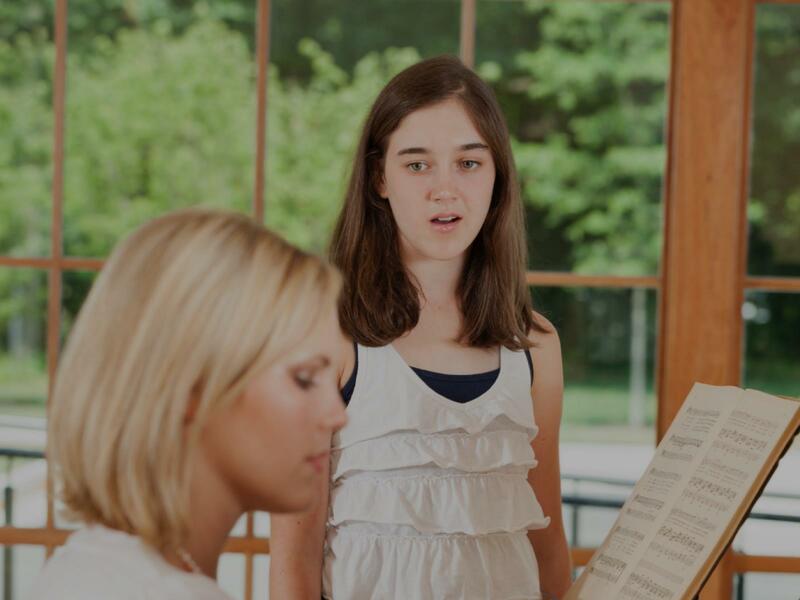 This will enable her students to progress and become more competent as a singer or musician and move through either a level book or be ready to perform 1-2 pieces with mastery. She was very kind and knowledgeable about how to help Sierra accomplish her goals. We would highly recommend her for anyone interested in musical training. We are excited to see where this could take Sierra with her musical interest in the future. I studied performance at The Berklee College of Music, and have performed all over the country! Do you want to learn how to master the stage? Let's work on my "4 Elements of Stage Performance" to get you ready to rock small and big stages. Microphone technique, audience engagement, movement. Whether you're a vocalist, pianist, guitars or harpist let's get you performance ready! It was great despite the inturruptions with my phone. Tanisha is such a lovely, warm hearted person. She was so patient and accommodating with me. Student Learns How to Perform with Other Musicians as well as How to prepare for a Recital,Music Competition or a Concert. Also how to exert optimal control of their instrument in order to produce the precise musical effect they desire. Improve their technique by Practicing Patterns of notes with natural,minor major and chromatic scales and Arpeggios. d chord charts.Pick and fingerstyle techniques,Improvisation and playing by ear. As a child actor in New York City I learned Stage Presence plus Camera Awareness from the adult actors in those casts. Then I received my Bachelor's Degree from VCU in Music Performance. Professional musician since age 11 in NYC. Worked with the Coasters, Drifters, O'Jays, Platters & Temptations plus the Ringling Bros/Barnum & Bailey Circus before the age of 30. Earned a Bachelor's Degree in Music Performance with a minor in Jazz Studies from VCU in 1985. Recorded with the Ray Charles rhythm section, Jimmy Knepper, Kenny Washington, Loren Schoenberg, Joel Futterman, Paul Renz, Russell Scarborough, Steve Bassett, The Upper East Side Big Band (Pollack Prize Winner), Central Virginia Jazz Orchestra (CVJO) which was nominated for a Grammy Award. Currently performing with my own Jazz Warriors, Emme St James & Her Jazz Gentlemen plus AttractionBand.com & CVJO. understanding music theory are two important subjects that I offer. Along with that, a student can focus on any musical style from classical to jazz plus other important aspects like composing, reading and recording music. I am willing to share my professional experience with any student who wants to become a player! I bring music books to augment the student's library. However, students must provide their own instruments. Suzuki method for the 3 year old plus my father's method for ages 5 and older. After that, I teach according to the student's abilities and their goals. He has a good ear and can help quickly with transcriptions. More importantly, he also gave some practical advice. My son enjoys his music lessons with Jonathan, who is infinitely patient teaching what can be a challenging instrument. My son responds well to Jonathan's instruction, and he appreciates having access to a professional performer as a teacher. Jonathan encourages my son to learn a variety of music, including both challenging classical pieces and more recognizable popular and jazz pieces, which helps to sustain his interest in the lessons. This instructor is very helpful when learning new concepts and adjusts his lessons to match your skill level. Already know how to sing and/or play an instrument, but want to convey your musical message more potently? We can fine-tune your technique and delivery, discuss repertoire choice, and work on body-conscious integration/presentation--so that you can feel more confident to deliver your musical message and connect with your audience. Piano, singing, or both. We'll focus on the repertoire you love to perform. Lesson subject areas include practice skills, technique, musicianship, music reading, rehearsal and performance etiquette, stage presence, acting, and performance preparation. Hello! I believe that the joy of music should always be present when you sing, and that singing is a great way to see the benefits of hard work pay off. I look forward to helping you reach your goals! I've been studying singing for thirteen years. I've performed classical, musical theatre, metal, jazz, and gospel music, and I've been a choir conductor, choreographer, children's group leader, and private voice teacher. I love to teach early and intermediate piano, music theory, and audition prep. I have a Bachelor's Degree in Music and Linguistics from the University of Oregon and a Master's Degree in Vocal Performance from Boston Conservatory at Berklee. So nice. Clean space and super fexible. Heather is a great teacher who makes you want to learn more because it's fun and interactive. Heather was an awesome teacher who was not only very encouraging and supportive but offered a lot of tips on how to improve on areas of singing that I wished to work on. She really listens to you and does her best to provide good feedback and additional exercises for you to work on and meet your goals. I had a wonderful and productive experience with Heather! Are you a musician or singer? Would you like to discover the secrets of performance: confidence, charisma, and showmanship? Or, do you have a piece that you would like to sharpen for an upcoming performance? I hold a B.M. from Berklee College of Music and I have over thirty-three years' experience as both a performer and instructor. Furthermore, I've written extensively on the subject of performance with several books, CD courses, and articles in publication. Naturally gifted with the voice of an angel, but just not sure what to do with your hands when you're on stage? We'll work intensively on music interpretation and how to perform for both big halls, and small parlors, so that you can captivate audiences with your voice AND your presence! Nicole is available to teach lessons for students of all levels. Beginning her singing career when she was 7, she most recently sang at the Lyric Opera of Chicago, was a winner of the international CS Competition in musical theatre, and is a Chicago F.A.M.E. finalist for Jazz and popular music. Combined with her training and professional experience, Nicole teaches singers to switch gracefully between multiple styles. She practices what she preaches: one night she might be singing Beyoncé, and the next morning she might be singing Handel's Messiah! Michael Fennely (Carnegie Hall), Wei-En Hsu (Hong Kong Philharmonic Orchestra), and Candace Evans (Santa Fe Opera). Nicole earned her Associates in Theatre from Brigham Young University ('12) and went on to acquire her BM in Vocal Performance from Illinois Wesleyan University ('14). Nicole obtained additional training from Boston University, Elon University, and the University of Alaska Anchorage. Nicole is absolutely amazing! Her musical background is reflected in her language expertise and we were able to begin learning German with ease! Can't find a teacher in East Providence, RI?